technology is an enabler of rights, not a right itself. There is a high bar for something to be considered a human right. Loosely put, it must be among the things we as humans need in order to lead healthy, meaningful lives, like freedom from torture or freedom of conscience. It is a mistake to place any particular technology in this exalted category, since over time we will end up valuing the wrong things. For example, at one time if you didn’t have a horse it was hard to make a living. But the important right in that case was the right to make a living, not the right to a horse. Today, if I were granted a right to have a horse, I’m not sure where I would put it. We live in a world of trade-offs and there is no free lunch. One doesn’t just mandate broadband for all and then expect there won’t be any costs — both direct and indirect. The direct cost is the cost to taxpayers or ratepayers in form of higher taxes or bills. The indirect costs usually arrive in the form of diminished competition, limited innovation, lackluster options, and the various problems associated with the regulatory capture that will ensue. The first objection is self-evident and needs little elaboration since we are today witnessing the breakdown of welfare state entitlement systems and policies across the globe as one country after another is bankrupted by them. But the second point needs to be unpacked a bit more. These are the sort of questions rarely asked initially in discussions about proposals to convert technologies or networks into birthright entitlements. Eventually, however, they become inescapable problems that every entitlement system must grapple with. When we discuss the wisdom of classifying the Internet or broadband as a birthright entitlement, we should require advocates to provide us with some answers to such questions. 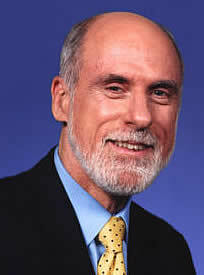 Kudos to Vint Cerf for helping us get that conversation going in a serious way.